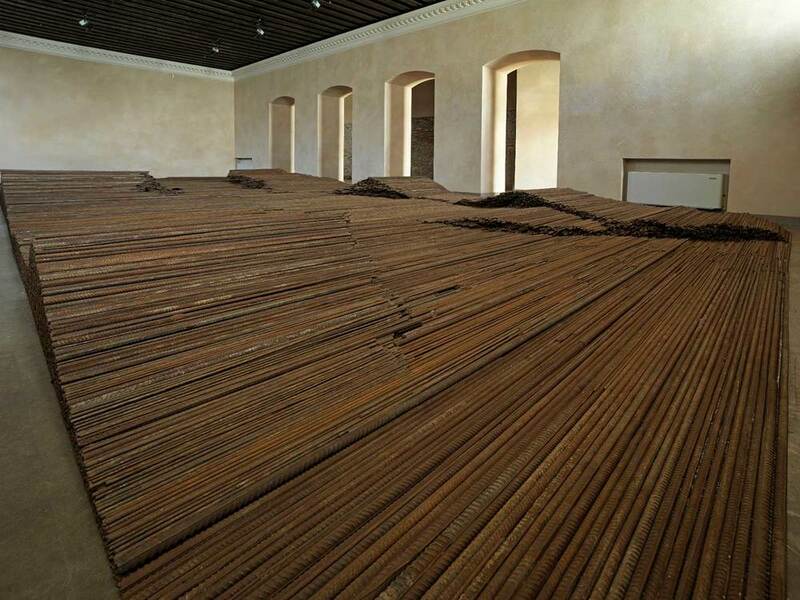 As a collateral event of the 55. International Art Exhibition – la Biennale di Venezia, Zuecca Project Space will present an exhibition of new works by Ai Weiwei, from 29 May – 15 September 2013. The artist’s only major new solo show in 2013, it marks the debut of S.A.C.R.E.D, an extraordinary new work addressing his April 2011 arrest by the Chinese Government and the 81-day period subsequently spent in captivity. This is the first time the artist has directly responded to his incarceration through a work in a public exhibition. Curated by Maurizio Bortolotti, the exhibition will be presented across two locations in Venice: the church of Sant’Antonin and the Zitelle complex, home of Zuecca Project Space. Work by Ai Weiwei will also be on display elsewhere in the Venice Biennale as part of a group exhibition representing the German Pavilion. S.A.C.R.E.D, presented at the Sant’Antonin church, is composed of six parts: (i) S upper, (ii) A ccusers, (iii) C leansing, (iv) R itual, (v) E ntropy, and (vi) D oubt. 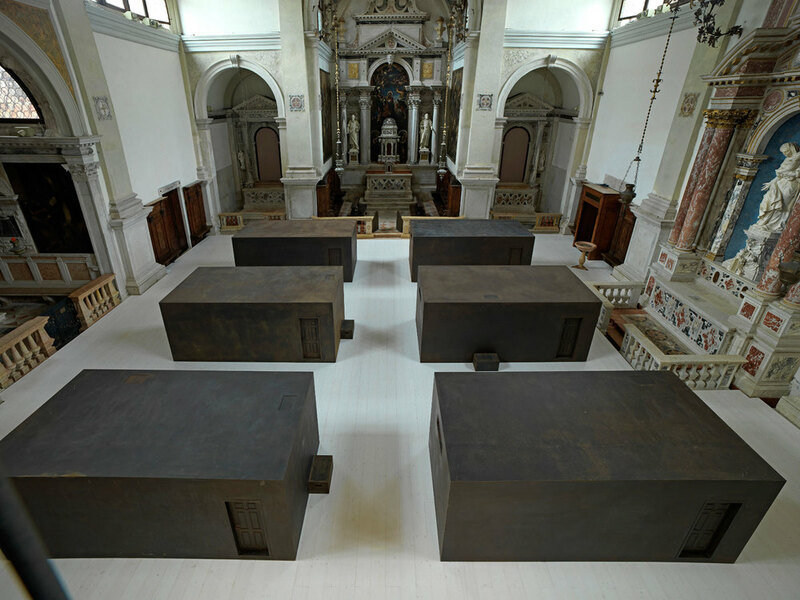 This landmark work comprises six large iron boxes with small apertures – such as those found in the door of a cell – through which the viewer must peer to see the dioramas contained within. Each diorama includes large hyper-realist models of the artist and his captors, and documents in painstaking, unflinching detail the different stages of Ai Weiwei’s time in incarceration. From the moment he is first led into his cell, to periods of interrogation, to him sleeping, to even those instances when he was forced to use the toilet or wash naked under the gaze of his captors, no aspect of Ai Weiwei’s life in prison is left unexplored. The artist’s unflinching willingness to reveal the most intimate and painful moments of his captivity underscores the relentless assault on personal dignity and freedom that he and many others have suffered, and continue to suffer, at the hands of the authorities in China and in other countries worldwide who seek to constrain freedom of expression with force. Specially conceived with the Sant’Antonin space in mind, S.A.C.R.E.D will also function as a dialogue between the artist and the existing Baroque architecture and its religious artifacts, offering an immediate sense of the drama of an event that underlines the contradictory development of China. In the Zuecca Project Space will be seen an expanded version of the artist’s sculptural installation Straight. 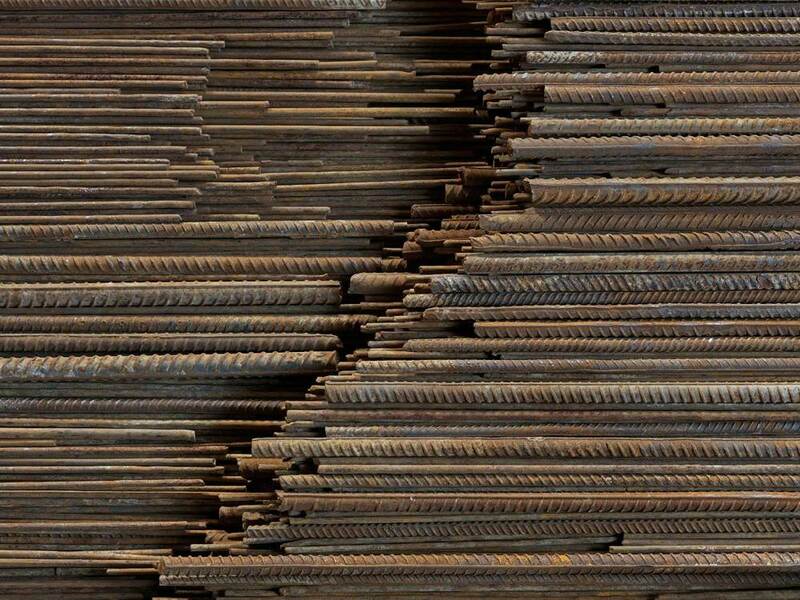 First exhibited as part of his 2012 acclaimed survey show at the Hirshhorn Museum and Sculpture Garden, Washington DC., Straight is formed from 150 tons of steel rebar recovered from the collapsed schools in which more than five thousand children perished during the 2008 earthquake in Sichuan, China. One of the leading cultural figures of his generation, Ai Weiwei has consistently displayed great courage, placing himself at risk to affect social change through his art. He serves as an example for legitimate social criticism and free expression both in China and internationally. The exhibition with Zuecca Project Space represents a new chapter in the long- standing historical relationship – founded on trade, as well as religious and cultural exchange – that exists between China and Venice. This relationship will acquire fresh immediacy in light of the artist’s interpretation of contemporary China within the context of the city. Ai Weiwei Disposition – S.A.C.R.E.D.